The first riding greens mower made its appearance in 1968- quite an innovation, and the principles used for this ground-breaking machine are still used in today’s triplexes. 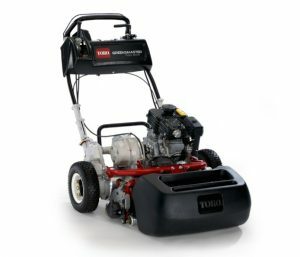 The first generation of these machines were originally viewed with some suspicion, and it was argued that these large, heavy machines would compact putting surfaces, and purists maintained that they could never match the precision cut of the tried and tested walk-behind mowers. Download the brochure: Greensmaster Flex 2100.
employed on a course being prepared for a US Open -this at Southern Hills in Tulsa, Oklahoma. At the time, the USGA officials feared that championship speeds of greens could not be achieved using a triplex mower. remained the preferred choice made by premier clubs. 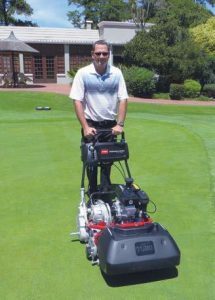 In fact, the trend into the 1990s showed an increase in the number of clubs that used walk-behind mowers on their greens- much of this was to do the “TV factor,” as clubs wished to have the smaller striping, and at the same time we saw green speeds increasing. 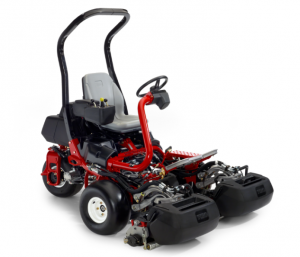 Since then, labour costs and time limitations on smaller maintenance teams have forced many clubs to relook at the ride-on option, but importantly, the improved quality of cut produced by triplex machines has led to a resurgence in these machines. 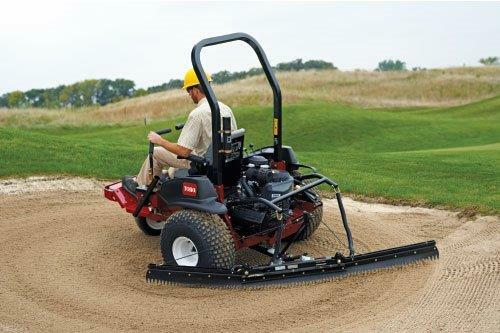 Prior to the latest generation of triplex machines, concerns such as “triplex ring” (the appearance of distressed turf around the cleanup cut along the perimeter of the green), the threat of hydraulic leaks and a limited cutting height were some of the arguments against using them. 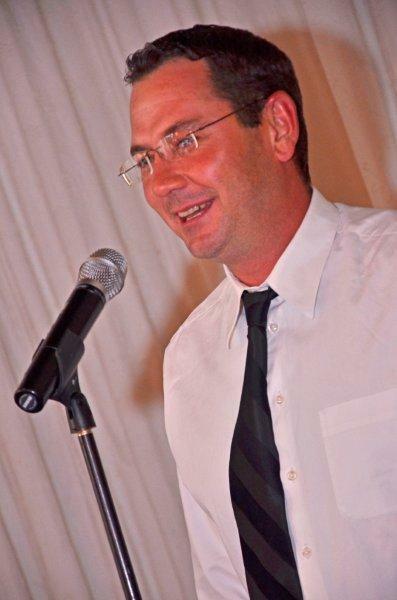 The most modern varieties have largely eliminated these shortcomings. Pressure alarms and improved hydraulic systems, the most advanced groomers and brushes (that can be set to counter rotate), and the improved suspension and counter-weighting that solved the triplex ring problem became available on the machines. They can also be set to cut at heights well within a range that is acceptable for even tournament green speeds. Indeed, many of the top agronomists working with the USGA now maintain that while there still exists a perception that walk-behind mowers ultimately produce a superior quality of cut, most admit that due to technological advances made with the triplex, they are every bit as good. Down the the brochure: Greensmaster TriFlex Series Product Brochure. 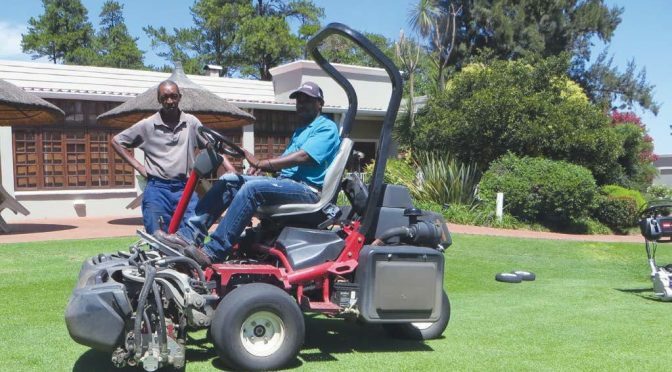 We travelled to Maccauvlei Golf Club, where ride-on mowers are used to cut greens, and spoke to the club’s manager Leon Kruger, who is justifiably proud of the condition of his putting surfaces. The Toro Greensmaster TriFlex 3400s that have been used here for five years certainly live up to their durability claims, which probably has a lot to do with the care of the operators and the diligent servicing done in Maccauvlei’s workshop. By way of a comparison, a brand new Toro Flex walk-behind was used to cut an area on Maccauvlei’s practice putting green, and next to this the TriFlex 3400 mowed a few lines. Both machines were set at a mowing height of 3.1 mm, and certainly to the naked eye, the results seemed similar. The roll of a ball seemed identical on the areas cut by two different machines, but of course this exercise couldn’t claim to be a definitive test. Only after a long-term test by both machines on identical putting surfaces could any real differences be noted, if indeed there were any. Considering that two Triplex movers (front nine and back nine) could be used to mow 18 greens and comfortably stay ahead of fields starting on both nines, (where normally six walk-behind mowers would be required), it is obvious that six operators versus two represents a saving. 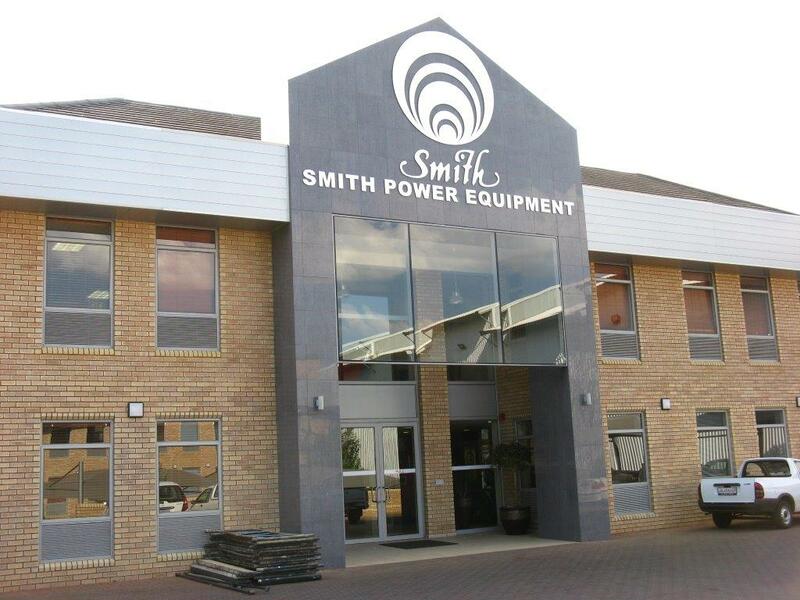 The cost of transporting the six walk-behind machines must also be added. The cost of the machines is actually in the same ball park- the price of one TriFlex is more or less equivalent to three walk-behinds.